Jared Lee Loughner, the young man who allegedly shot Rep. Gabrielle Giffords (D-Ariz.) and killed six others in Tucson on Saturday, would seem to defy easy categorization. Yet the evidence does provide clues into the mind of a man who even the staunchest partisans should be able to agree held muddled politics far outside the mainstream. It seems clear based on Loughner's YouTube videos and MySpace page that he held a grudge against the U.S. government - and that he had had become obsessed with Giffords, the local embodiment of that government. Start with his reading list: As Mark Potok of the Souther Poverty Law Center notes, the central theme running through the books - Mein Kampf, The Communist Manifesto, George Orwell's 1984 and Animal Farm, Ayn Rand's We The Living - is "the individual versus the totalitarian state." Potok, who follows the far-right fringe, also picked up on the apparent roots of Loughner's suggestions that the government was engaging in mind control through grammar - an antigovernment extremist named David Wynn Miller, who ascribes nefarious intent to, among others, the U.S. Postal Service. David Wynn Miller told Politico he agreed with Loughner's statement in a YouTube video that "the government is implying mind control and brainwash on the people by controlling grammar." Loughner's claims in his videos: "I'm able to control every belief and religion by being the mind controller!" Miller's website is, to put it charitably, confusing. He appears to believe that by changing the punctuation of one's name - adding hyphens and colons, for example - a person can transform into a "prepositional phrase" not subject to taxation. "David is an adjective, Wynn is an adjective, Miller is a pronoun," he writes. "Two adjectives are a condition of modification, opinion, presumption, which modifies the pronoun, pro means no on noun. So therefore, I'm not a fact. I'm a fiction." Miller's argument is associated with the far-right fringe "sovereign citizen" that has been used (unsuccessfully) in court by those seeking to avoid paying taxes. It should be noted that while Miller said he believes Loughner has looked at his website, investigators examining Loughner's computer files and phone records have thus far found no evidence that he has a specific connection to any hate or fringe group. The evidence also shows that Loughner rejected U.S. currency, apparently because it was not tied to gold or silver. He argued that he should not have to pay debts in currencies not backed by gold or silver and backed the creation of a new, alternate currency. Opposition to currency not backed by silver or gold exists is particularly strong on the far-right antigovernment "Patriot" movement, as Potok notes; he writes that it is "linked to the core Patriot theory that the Federal Reserve is actually a private corporation run for the benefit of unnamed international bankers." There are also components of Loughner's belief system that one could tie to the far left - his decision to "favorite" a YouTube video of a burning American flag, the inclusion of the Communist Manifesto on his reading list, his possible adherence to the 9/11 "truther" movement. Conservatives looking to label Loughner as liberal have also pointed to Tweets from one apparent former friend who wrote he had once been "very liberal" and added, "he was leftwing when I knew him in hs & college, 3 years ago. So he may have changed, who knows." Ultimately, it seems illegitimate to tie Loughner to the mainstream right or mainstream left, as his beliefs were well within the realm of the fringe. Indeed, Loughner appears to have simply been a disturbed individual who lacked a coherent political philosophy other than a deep-seated anti-government sentiment. He seemingly harbored a grudge against Giffords dating back to 2007, when he did not like how he was treated at an event held by the congresswoman. The Wall Street Journal reports that Loughner apparently asked Giffords at the 2007 event, "How do you know words mean anything?" Giffords responded to Loughner in Spanish, prompting him to complain to a friend over how he had been treated. A note to Giffords was found in Loughner's apartment expressing hatred to the congresswoman and making threatening comments, according to MSNBC. 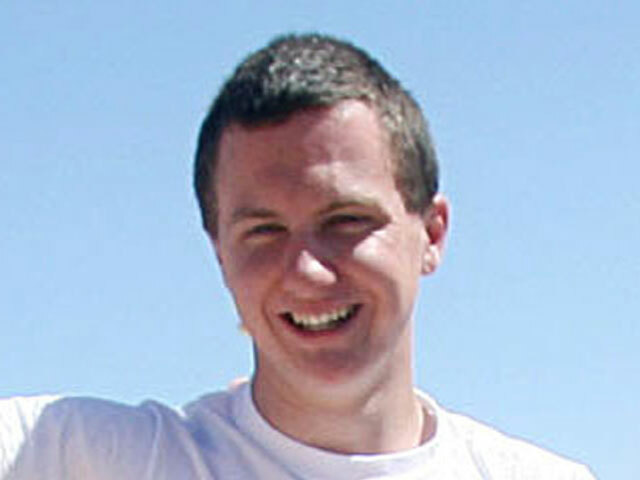 One friend, Bryce Tierney, told Mother Jones that Loughner saw Giffords as a "fake" unwilling to answer questions. Loughner's mental state appears to have deteriorated significantly in recent years. "By the time he was 19 or 20, he was really fascinated with semantics and how the world is really nothing--illusion," Tierney said. The Washington Post printed emails from Lynda Sorenson, 52, a former community college classmate of Loughner from when Sorenson and Loughner were in class together. "We have a mentally unstable person in the class that scares the living crap out of me," one reads. "He is one of those whose picture you see on the news, after he has come into class with an automatic weapon." Loughner, who was prone to nonsensical disruptions, was removed from the class within a month, and was suspended from the school in September of last year following five separate incidents. Officials tell CBS News that Loughner represents the most difficult type of threat to detect: A loner with no criminal record and no history of mental health treatment who legally is able to obtain a weapon. The one person who could provide the most clarity on his beliefs and motivations -- Loughner himself -- has thus far invoked the Fifth Amendment and refused to answer questions from investigators. Below: Watch CBS News' Bob Orr, Jan Crawford and Nancy Cordes on Washington Unplugged with the latest on the "Tragedy in Tuscon" and developing information on suspect Jared Loughner. E-Mail: Giffords Sought to "Promote Centrism"
Prof. Called 911 on Loughner after Class "Rant"
Doctors: Giffords "Holding Her Own"
Loughner's Lethal Message: "I Planned Ahead"